The sun is the source of life for everything that lives on Earth. Not only does the sun provide nutrients to living things, but it provides your body with precious benefits beyond vitamin D. There is more than one way to make sure you’re getting enough exposure to the entire spectrum of UV light for optimal health. By using sunlight lamps, you can supplement your natural light exposure. There are several wavelengths in the UV spectrum. Research has not uncovered how each part of the spectrum affects your health. However, there are many conclusions about certain portions of the spectrum that have been extensively studied. About fifty years ago, there weren’t any publicly available solutions to light deprivation, until doctors began to implement sunlight lamps. A full-spectrum light source can provide a reasonably close representation of what you would be exposed to through direct contact with the sun. Depending on where you live, exposure to direct sunlight isn’t always possible. Sunlight lamps are available for purchase and can be used at home to increase light exposure. In colder climates, it is not easy to get outside as conditions can be harsh, and during winter months the daylight can be quite brief. There have been discoveries recently which have shown that the eye has receptors that have a role in managing your biological clock. When these receptors are engaged, they send signals to the hypothalamus which regulates melatonin production and ultimately your circadian rhythm. There are many positive claims associated with full-spectrum sunlight lamps. The improvement of mood, color perception, mental awareness, vitamin D production, sleep quality, and even productivity are all promoted as benefits of sunlight lamps. What has been shown is that people tend to feel much more alert and have a higher quality of work in environments that use full-spectrum sunlight lamps. It’s always good to remember that, in most cases, no single solution will work to provide all of these positive changes. A balanced approach is normally the best way to improve your health, and you should consider all aspects of wellness for the best results. So many different tests and procedures are available to ascertain whether a level of one thing or another is correct. It can be easy to brush these tests off as trivial. However, this is not true for vitamin D because it is such a necessary part of health and wellness for everyone. Some lifestyles are conducive to being outside for long periods and receiving sufficient exposure to the sun. However, there are many people who don’t have the opportunity to get enough daylight. If you are curious as to whether or not you are getting enough vitamin D through sun exposure, you can purchase an at-home test kit. It’s always better to know when it comes to vitamin D levels because they affect so many areas of functional health. 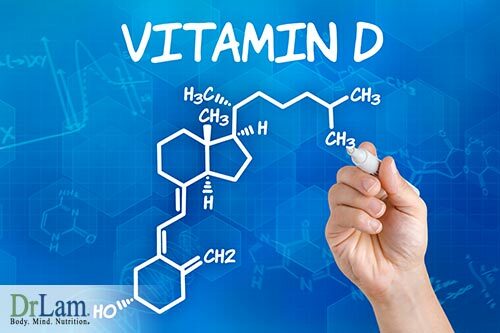 Vitamin D can help to improve circulatory, immunological, and even skeletal health. There is research showing that exposure to sunlight and heightened vitamin D levels can sometimes help reverse or prevent certain types of cancers: https://www.drlam.com/articles/adrenal_fatigue.asp It also has an important role in promoting mental health. When people lack proper levels of vitamin D, they are susceptible to higher rates of anxiety and lethargy. This is a good reason to implement a sunlight lamp to help boost your vitamin D.
However, sunlight, or lack thereof, is not the only thing that can affect the above issues. The body is a very complex network of systems, and it can sometimes be very difficult to pinpoint precisely where problems are coming from. If you have any concerns or questions, it’s always best to contact a professional before taking any action that could affect your health. Though a sunlight lamp might be a good supplement for natural light, there is ample evidence that there is no replacement for the real thing. Sunlight not only gives us the complete light spectrum, but it also varies the delivery of the spectrum throughout the day, maintaining our circadian rhythm. 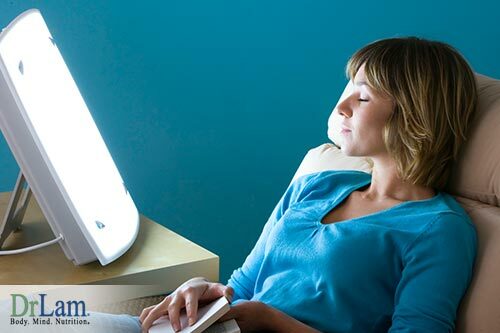 One of the most common reasons for people to use full spectrum sunlight lamps is for a seasonal affective disorder (SAD). Research has shown that white light does have an effect on mood and can reduce sadness and anxiety, but it is not as successful as natural light. There have been no measurable differences between exposure to full-spectrum sunlight lamps and general white light. For those suffering from SAD, sunlight lamps might not bring the results you’re looking for. Insufficient exposure to sunlight increases the amount of melatonin you produce, making you feel more tired and lethargic. Coupled with some of the other symptoms of low UV exposure, and it’s a recipe for problems. In many circumstances, it’s best if you can just get sunlight for one full hour per week. The seemingly lackluster effects of sunlight lamps don’t necessarily mean they don’t have a place in your life, though, because getting natural light isn’t always possible. There are many examples of positive psychological effects based on human preference for natural light alone. Many people prefer light from windows and skylights to standard electrical lights. Sunlight lamps can elicit some of the same emotional response. It’s worth noting that full-spectrum lights are more expensive than traditional lights and also require more electricity to run. You may have to weigh the cost against the positive impact that these lights can have. Should You Be Worried About Excessive UV Exposure? 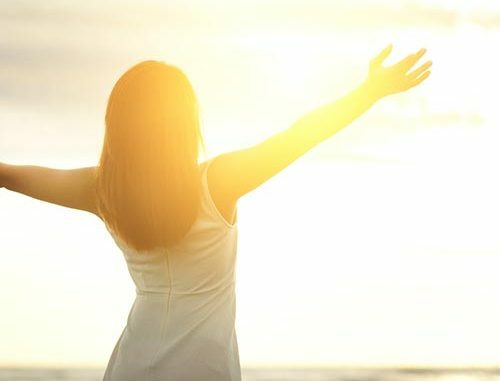 There are clear positives in the case of natural sunlight, but there are also many people who advise sun avoidance because of health concerns. Skin cancer is without question a prevalent problem, but it could be that we are overly cautious about being in the sunlight. A lot of the risk depends on where you live. If you’re closer to the equator, then the sun will be much stronger, and you will have to take more care to safeguard against potential long-term health problems. By contrast, in the north, in Canada for example, there is much less risk of negative UV effects from prolonged exposure because the UV levels are much lower. Most sunlight lamps don’t emit enough UV rays to cause harm, even over long periods of time. Damage is more likely when you are exposed to natural sunlight at peak hours from 10:00 a.m. to 2:00 p.m. However, always look at your particular situation, and remember that it’s all about balance. If you’re careful with your natural exposure and make sure it’s in moderation, then you most likely won’t have any major negative health effects. Keep in mind the times of day you are outside, and if you have doubts about whether it’s healthy or not, move towards the side of caution, and examine how you feel over time. Ensuring that your body is producing all of the necessary neurotransmitters to keep you on track is imperative to good health. Sunshine has a lot to do with how we feel and what we can accomplish. One of the neurotransmitters that is produced abundantly in people who are out in the sun more is serotonin. This is noteworthy because serotonin helps to regulate sleep, memory, mood, and even appetite. Sleep is something that should be focused on more deeply because it has a lot to do with stress. When we are constantly worried and anxious about things that are happening or may happen, we are more likely to experience poor sleeping patterns. This is due to a variety of reasons but centers on the NeuroEndoMetabolic (NEM) Stress Response. The NEM Stress Response encompasses the entire process of physiological reactions to stress. Starting at the base of the brain in the hypothalamus, a signal is sent to the pituitary gland which then releases hormones to communicate with the pituitary glands, and then a physical reaction takes place. The adrenal glands release cortisol, which then affects a multitude of processes that range from nutrient intake to cholesterol absorption and more. The NEM Stress response is affected by sunlight in a variety of ways, and sleep patterns can be influenced. When people have improper sleep patterns it has a massive effect on productivity and mood. There are several different methods through which someone can go about obtaining a more restful sleep, but the trigger that all sleep revolves around is melatonin. When your body isn’t getting enough vitamin D because of insufficient light exposure and is unable to produce sufficient melatonin maintain a proper sleep pattern, problems will arise. In the same way that too much stress can cause poor sleeping patterns, you can become stressed because of the lethargy associated with lack of sleep. There are steps you can take to improve the situation though. Adding some time outside will most likely give you benefits that go beyond sleep as well. The simple act of taking time to be outside can have positive physiological effects of its own. However, there are other causes of poor sleep, such as insomnia, that time in the sun will not correct. If you are having a difficult time managing your stress or sleep and can’t get it under control, contact your healthcare professional for advice and guidance. They may suggest a sunlight lamp or more time outside, but there might be other measures that need to be taken as well. When considering AFS as a whole, the mind-body approach is the best path to recovery. Being in a proper mindset requires one to manage stress, get adequate sleep, and take appropriate vitamins. All three of those things can be partially addressed by maintaining healthy UV light exposure. 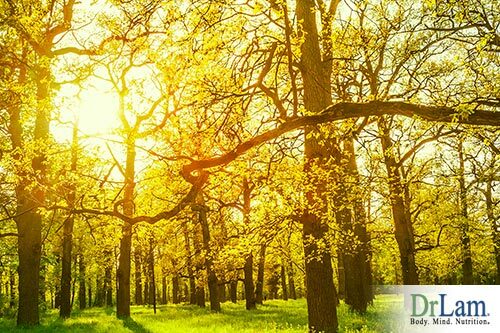 There are more benefits to direct sunlight than just vitamin D and physical health. Being outside has positive implications on your mood and psychological well-being. Stress can sometimes be reduced by taking a calm walk outside to clear your head. Calmness and increased hormonal synthesis can result. When your body lacks the nutrients it needs to produce hormones, you will be more prone to AFS and everything that comes with it. Because not everyone can get adequate UV rays from sunlight, using full-spectrum sunlight lamps can be a good method to help recovery from AFS. It is also important to note that not everyone can tolerate direct sunlight. Those who are in advanced stages of adrenal fatigue are particularly at risk. Adrenal crashes can be triggered by the body’s temperature regulation system dysfunctioning when overly exposed. When your mood is elevated, you help relieve the burden on the adrenal glands to deal with stress. Boosting melatonin production also helps reduce stress by improving recovery during nighttime hours. There are options to bring into your routine to help you move in the direction of health.